Pink Banana Media was proud to be a part of, and support, the first LGBT+ Tourism Summit in Malta, which attracted the participation of the country's Minister for European Affairs and Equality, the Hon. Dr. Helena Dalli. International experts discussed market developments, new marketing strategies and the economic prospects for Malta, the top-rated country on the ILGA Europe Rainbow Map and Index 2018. The Malta Tourism Authority worked together with ITB Berlin to present the educational event and featured presentations from several IGLTA members, such as Barcelona Turisme, Community Marketing & Insights and Gen C Traveller. Are you interested in being a part of these LGBTQ conversations? We work with any budgets (starting at $500 per month)... call us at (323) 963-3653 or contact us here to get started. Do you have a product or service that you'd like to promote to those in the LGBTQ community who live in, or have an interest in traveling to, Malta? Let us help you spread the word and increase your organization's online visibility at the same time! 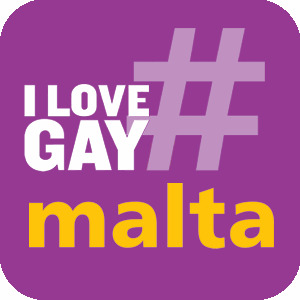 Using our #ILoveGay Twitter 360° Network, we're able to bring your message to one of the strongest LGBTQ Malta audiences online today, broadcasting your message via our primary Twitter profile in your niche market, @ILoveGayMalta. We will also broadcast your message based upon the theme/industry your business is a part of, such as @ILoveGayTheatre, @ILoveGaySports or @ILoveGayMovies.